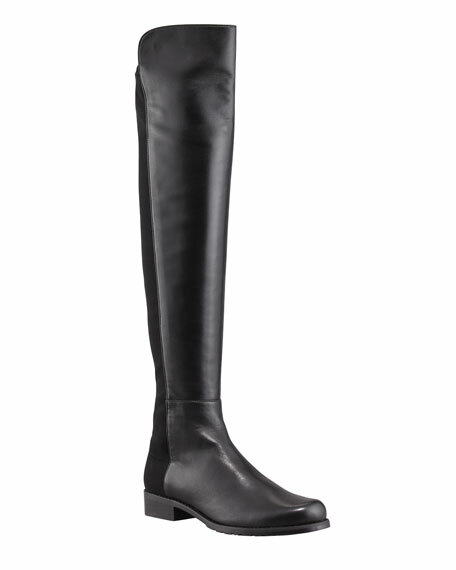 Stuart Weitzman 5050 Boot Review - Is It Really Worth the Hype? My longing for Stuart Weitzman’s impossibly perfect over-the-knee boot began in 2012, when I started to notice that every woman in New York—or at least all the chic ones—were wearing them. Ordinarily I’d shy away from something so ubiquitous (which is why I never bothered with the Goyard St. Louis tote or Gucci’s shearling lined loafers) but for some reason, no matter how hard I tried, I just couldn’t get the boot off my mind. At the time, splurging on a $655 pair of shoes (plus $58 in sales tax because…New York) seemed like an irresponsible decision for someone who could barely afford to pay her rent, so I suffered through the winter without them, and instead bought myself a similar (read: cheaper) alternative in an attempt to satiate my need. By the fall of 2014, I told myself that if I still needed to have the boots, I could go try them on before winter—you know, just to see what they felt like. I walked into the Stuart Weitzman store in Manhattan’s Columbus Circle on a chilly November night, marched right up to the sales associate, and announced that I was interested in trying on the “5050” in a size 7.5. She shook her head. The following week I made my way to Soho, and as luck would have it, they had my size. When the salesperson emerged from the stock room carrying an obnoxiously large purple box, I felt like I was having an out-of-body experience. (Ok fine, it wasn’t that dramatic, but still, I had to have those damn boots.) She removed the lid, unfurled the tissue paper, and explained the secret to putting them on: stick your arm half-way down the boot, pinch a piece of the back shaft, roll the top half down, slip your foot in, roll the top half back up. 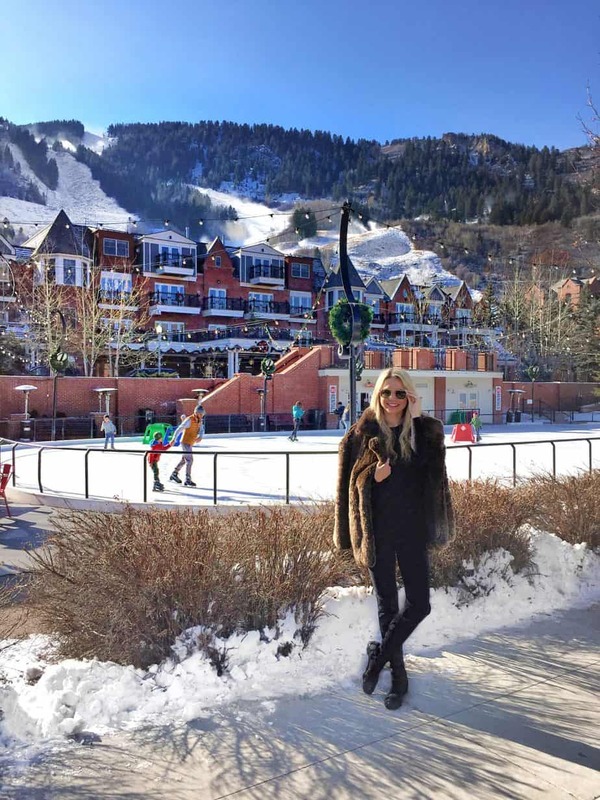 Wearing my Stuart Weitzman 50/50s in Aspen. From the moment I had them on, I knew there was no turning back. I looked in the mirror and suddenly felt like a cooler, more confident version of myself. The napa leather was the softest thing I’d ever laid my fingertips on; the stretchy fabric that covered the calf guaranteed I’d never be the girl wearing terrible slouchy boots again. They even had a slight heel—1 ¾-inches—that would put me at my dream height of 5’7. The shoes were comfortable, yet chic; sophisticated, yet casual. Having owned my 5050s for four years, I somehow love them even more now than the day I bought them. And I’m not exaggerating when I say that they still look brand new, despite the fact that I wear them embarrassingly often: with skinny jeans, with tights, without tights, with skirts, with dresses, in the rain, in the snow (as evidenced by the photo above). In fact—and this should come as no surprise—I’m actually wearing them right now. Hi Linds, what about wearing them in slush and heavy snow? Would you dare? I live in Montreal, Canada and our winter is no flipping joke… thanks! I definitely wouldn’t recommend it. I dont think it will ruin them, but probably won’t keep your toes very warm!